Kapinos-Mazur Funeral Home is a Ludlow institution, being one of the oldest businesses in town that has been continuously owned and operated by the same family. Up until the late 1920’s, most funeral services or visitations in Ludlow were held in private homes. Stanley and Mary Kapinos saw – and met – a real need in the community when they first opened the doors of their funeral home in 1932. It wasn’t uncommon during those days to spot their little girl, Emily, roaming the funeral home halls. Eventually, Emily became one of the first women in Massachusetts to earn a funeral director’s license. While working at her parent’s business, she met young intern, Ben Mazur, and the two eventually married. Ben and Emily’s youngest son, Ed Mazur, joined the family firm in 1982. 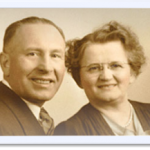 Ben and Emily served at the helm of Kapinos-Mazur Funeral Home until 1991 when they retired. 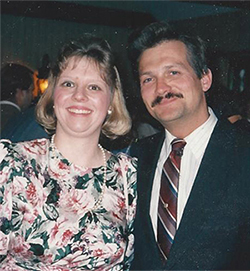 From 1991 until 2014, Ed Mazur led the business with his wife, Maxine, by his side. Under his direction, Kapinos-Mazur Funeral Home received the Pursuit of Excellence Eagle Award, one of the highest honors given to funeral homes. It represents a commitment to adhering to the highest ethical standards, while meeting and exceeding the wishes of the families served. Ed passed away on March 15, 2014 after a valiant three-year battle with cancer. A well-respected community leader known for his civic service and compassion for others, Ed truly was the heart and soul of Kapinos-Mazur Funeral Home. Since his passing, Maxine has stepped in to protect and preserve the rich family heritage begun by Ed’s grandparents nearly 85 years ago. Licensed Funeral Director, John Flynn, leads alongside Maxine, adding his fifty years of funeral service experience to the legacy of Kapinos-Mazur Funeral Home.